Streaming services are a great alternative to traditional cable and satellite subscription services. Today there are a number of quality dedicated streaming video devices and an explosion of mobile video. These streaming video services have grown up from their days as cable TV supplements. They are now full-fledged cable replacements for those wishing to cut the cord entirely. Listed here are some of the most popular streaming video services that are available. There are others, but this list is intended to give you, the customer, some options for quality television programming without reliance on the local cable provider. These services require very little beyond a quality internet connection. THIS IS RULES FREE TV. Binge the newest shows, catch the game, and track breaking news—all on your favorite devices. Sign up for DIRECTV NOW and start streaming today! Watch from anywhere. Netflix is the standard-bearer of streaming. There’s a solid selection at all times, with new titles exchanged for older ones monthly, along with Netflix original programming which has become quite popular. It’s the only place to get your fix of shows like Orange is the New Black, Stranger Things, and Jessica Jones. The $7.99-per-month plan is for one standard-definition stream. For two concurrent HD streams (two people watching from the same account at the same time), it is $10.99. 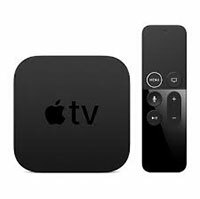 For $13.99, you can get up to four concurrent streams and support for 4K content. Netflix is available on a variety of devices, from your PC and tablet to Chromecast and game consoles. You can also now download content for offline viewing. Hulu is one of the best all-in-one options for those only using streaming services, given its diverse set of options. In addition to quality original programming, a strong library of classic shows, and a good selection of anime series and movies, Hulu offers a robust live TV option. Unlike Netflix and Amazon, which typically get new TV series months or even a year after their TV debuts, Hulu gets some content almost immediately after airing on TV thanks to its big studio backers. Hulu’s free, ad-supported tier is long gone and for full seasons of current and classic TV series, as well as original content, you have to subscribe to its basic $7.99 per month plan. It does offer an ad-free tier at $11.99 per month, though some popular shows still have 15-second pre-roll and 30-second post-roll ads. If you want even more options, you can add HBO or Showtime for $14.99 and $9.99 per month, respectively. Hulu supports an impressive range of gadgets, but you can only stream to one device at a time with the basic accounts. Make sure to check out Hulu’s latest redesign across all of its platforms; it features elegant navigation menus and a glossy aesthetic, though the new layout admittedly makes it more of a pain to discover content. Hulu with Live TV costs $39.99 per month and includes a wide range of news, sports, and entertainment programming across about 60 channels (with local and regional options depending on location). This plan notably includes Hulu’s entire on-demand streaming library. You can add Enhanced Cloud DVR (increases the available DVR storage to 200 hours from 50) or the Unlimited Screens package (allows an unlimited number of concurrent device streams in your home and up to three outside of it) to your plan for $14.99 per month each or $19.99 for both. YouTube TV allows you to watch cable-free live TV from over 60 networks including major news, sports, and entertainment channels. With its Cloud DVR capabilities, you are able to stream your shows from any device without running out of storage. YouTube TV is compatible with smart TVs such as LG and Samsung, Streaming Media players like Roku, Chromecast and Apple TV, and gaming consoles such as Xbox One. With six accounts per household, everyone can stream and watch on their own personalized DVR. Watch it on the go with your smartphone or tablet, or at home on your TV. Connect to your Google Home for hands-free control, simply say “Hey Google, play ABC on YouTube TV,” or “Hey Google, turn up the volume.” No more searching for the remote deep in the couch cushion. Customize your service by adding premium networks such as Fox Soccer Plus, Showtime, Starz and more for an additional cost depending on the network. Individual premium channels range from $3-$40. As you add more services, though, Sling TV can add up. There’s the basic Sling Orange plan with support for one stream at $25 per month, Sling Blue with support for three simultaneous streams for $25, or both with support for four simultaneous streams at $40. Why would you want both? Some channels on Sling Orange are not available on Sling Blue and vice versa (here’s a breakdown). The Disney Channel, for example, is only on Sling Orange, while Fox Sports is only on Blue. Amazon Video is $8.99 per month, but if you plan to stick with it for more than a year, you can opt to subscribe for Amazon Prime which includes Amazon Video—not to mention Amazon Photos, Amazon Music, free 2-day shipping on many Amazon orders, and a number of other Amazon-centric perks—for $99 per year. Amazon has about 40,000 titles to stream, but only a fraction of those are included with Prime streaming. Look for the “Prime” banner on selections that stream for free. Everything else is available to purchase or rent (for Prime and non-Prime members). Amazon also enables offline downloads, so if you haven’t finished watching Transparent or want to catch up on some older HBO shows for your next flight, download to your tablet and get watching. In 2015, Amazon also launched the Streaming Partners Program, which lets you add networks like Showtime and Starz to your Prime account, sometimes for a slight discount (save $2 per month on Showtime via Amazon vs. buying it on its own, for example). 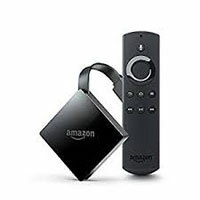 Amazon Video does not work with Google’s Chromecast, but it’s available on Roku, as well as Amazon’s own Fire TV devices, smart TVs, and more. Prime Video supports two concurrent streams, as long as you are watching different videos. The DirectTV Now streaming service offers dozens of channels of live TV without installing a satellite dish or running cables. The service features excellent picture quality and plenty of connectivity options, and subscriptions start at $40 per month. You won’t find DVR or rewind features, but you can get premium channels like HBO for just $5 extra per month. There four plan tiers: Live a Little, Just Right, Go Big, and Gotta Have It. Live a Little offers more than 65+ channels for $40 per month, covering the big networks you would get in a standard cable package. Just Right is $55 per month and includes 85+ channels, adding more niche and spin-off networks. Go Big costs $65 per month and brings the total number of channels past 105+ by adding networks like BBC World News, Discovery Family, Logo, Oxygen, Sprout, and Sundance TV. The $75 monthly Gotta Have It package gives you more than 120 channels, adding Boomerang, Chiller, El Rey, Univision Deportes, and eight Starz channels. You can add HBO or Cinemax to any package for $5 each, which includes all live HBO or Cinemax channels and access to the respective networks’ on-demand library. Local affiliates include ABC, Fox, and NBC, and their availability depends on your location. CBS and The CW, meanwhile, aren’t available on the service. fuboTV is a great option for sports fans looking to get away from traditional satellite or cable. This “sports-first, but not sports-only” service offers extensive live sports and entertainment content for all your devices. Whether you want to watch NFL games on Sunday, catch up on an MLB game that aired during the day, or even stream a movie on-demand, fuboTV has you covered. Its flagship subscription plan, fubo Premier, does cost $44.99 per month, but it grants you access to 85 television channels. For the national sports events, there’s NBC, CBS, FOX, NFL Network and NBA.TV. For international sports, you get channels from the beIN network and Univision. And if you’re ever not in the mood for sports, fuboTV offers a wide variety of entertainment channels such as AMC, BBC America, CNBC, The Food Network, FX, National Geographic, SYFY, and USA, to name just a few. You not only get to watch live events and programs from these channels, but also a ton of on-demand shows and movies. fuboTV offers some cheaper plans aimed at international markets, including fubo Latino for $17.99 per month and fubo Portugues for $19.99 per month. You can also supplement any base plans with add-on content, including the Sports Plus ($8.99 per month) and Adventure Plus ($4.99 per month) options. If you’re a PlayStation fan who is cutting the cord, Sony’s PlayStation Vue live-streaming service is a good way to ditch your cable company while keeping plenty of channels. Plans start at $39.99 per month for live TV with 45+ channels, including Disney and ESPN. Add sports, movie, and premium packages and prices will range from $45/month up to $75/month. PS Vue started in only a few markets, but went national last year. Channel availability varies by market, though, so check your location before signing up. “In some cases where a live local broadcast channel isn’t available, an alternative On-Demand channel will be available in its place,” Sony says. You can DVR PS Vue content, except HBO, Showtime, and Cinemax, though “almost all programs” from the live feed of those channels are available on demand. DVR and on-demand content can be watched inside or outside the home, except CBS shows, which are only accessible inside the home. In addition to the subscription service, you may want to invest in a device that will allow you to watch this video content on your television. This is assuming that you do not already have a SMART television that is preloaded with these types of apps. A summary of some of the most popular streaming devices is below.